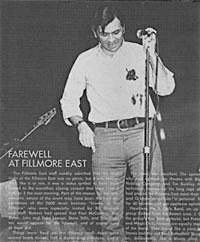 Later that spring we got the bad news that Bill Graham had decided to close The Fillmore. And who did old Bill choose to be the closing act? None other then the Allmans. Graham was so impressed with the concerts the band had played in March, he just had to have them back again. 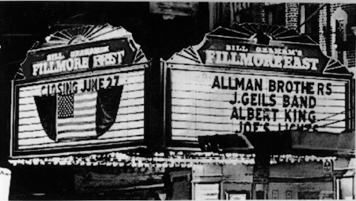 The closing concerts were a three night set of shows running from Friday June 25 through Sunday June 27. The Sunday show would be for Grahams friends, employees and record company people, so the actual last public performances were on Saturday, June 26th. Friday & Saturday would have early & late shows. These were the days when an act really earned their bucks and had to do two shows in a night. We managed to get tickets to what many consider to be the best concert the Allmans have ever done, the Saturday night late show. 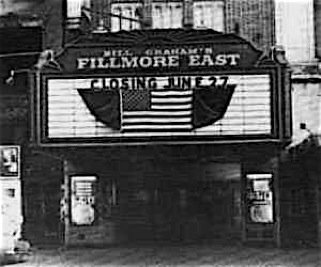 The last public performance at the Fillmore East. Now being only fourteen I had to tell my parents that I was sleeping at my friend's house. They would never had let me out to see a late show which started at 11:00 PM and ended who knows when. All my friends were going and I just had to go. They believed my story and off we went. There were five of us. Harris Lewinn, Scott Hyman, Harry Apfel, Gene Gagliardi & me. That night Gene managed to talk his father into giving us a ride to the concert. Gene's father was really cool and we always had a great time with him. He could not believe it when he pulled up to the front of the Fillmore that night. 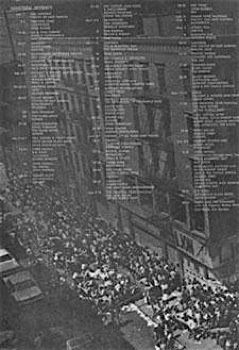 Second ave was completely covered with drug crazed freaks waiting to get in. He almost had second thoughts about letting us go. Before he had a chance to say anything we were out of the car and among the crowd. Grabsteins - Now closed. Eddie where are you now? You can't get a good hot dog in Canarsie anymore. Now Gene was always full of surprises and this night was no different. He actually had a back stage pass! 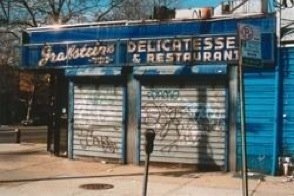 He got it from Eddie Grabstein (yeah, the same guy from Grabsteins restaurant, a Canarsie landmark). Eddie was always a deal maker. Maybe he traded Bill Graham some corned beef sandwiches for the pass!